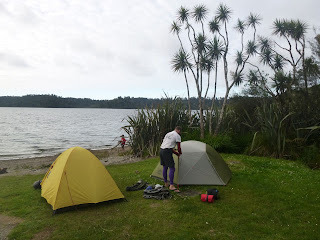 We're back from our three week holiday in the South Island and I have loads of stories to tell about our time away. I'll break up the holiday into a few separate posts to prevent them getting stupidly long. We flew to Christchurch on the 15th of December and picked up our rental car. After loading our gear up and getting some groceries we headed to the beach before going to Sumner where a friend had offered us beds for the night. After a fun evening and a good nights sleep we headed off towards the West Coast over Arthur's Pass. On the way we called in at Cave Stream. 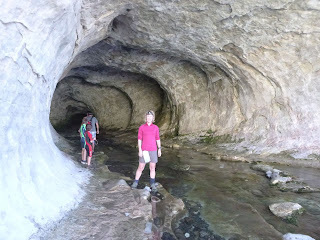 Cave Stream is a short walk through a cave - walking upstream (Cave Stream isn't a particularly imaginative name). It takes about half an hour to complete the walk. Luckily for us it was a nice warm day so it didn't take too long to dry off and warm up afterwards. The water was up to waist deep in places but the walk itself was pretty easy. Before and after shots below. 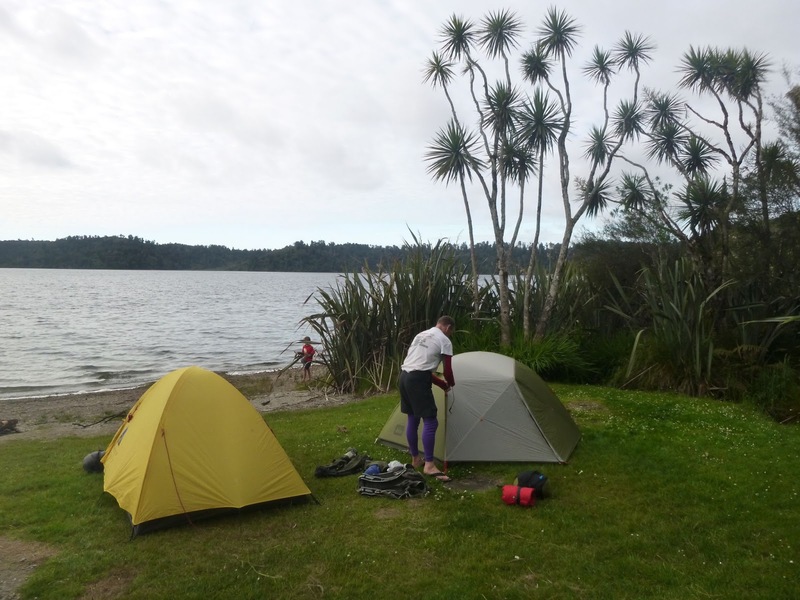 After getting dried off we headed off to the West Coast to a DOC campsite at Lake Ianthe for the night. The campsite is wedged in between the main road and the lake - a little noisy from trucks going past but they seemed to be few and far between through the night. The campsite costs $6 per night for each adult and $3 per night for each child. There are toilet facilities provided and the lake to swim in. The sandflies were rife of course (as they are almost everywhere on the West Coast of the South Island) to the point that I had to put a hat on to stop them biting my scalp. Nasty critters! We all had a swim in the lake the next morning before packing up and heading down to Franz Josef glacier. We walked up to the glacier and had our lunch while perched on rocks - what a great view! 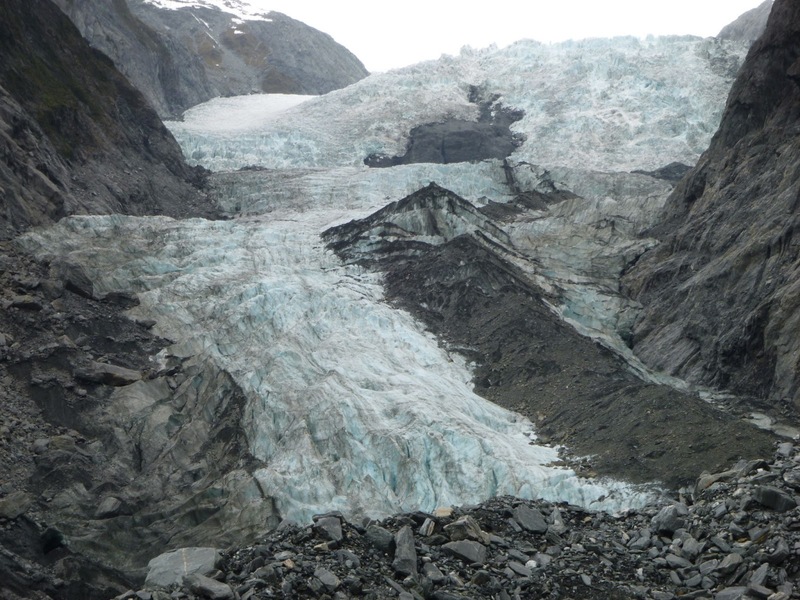 In the afternoon it was time to head to Wanaka over the Haast Pass. After an uneventful drive we arrived at our friend's place in Wanaka. The house has a terrific view of the lake and mountains. The photo below is from the front of the house.